Anthony Antognoli focuses his business practice on the representation of large and mid-size clients in the areas of employee benefits, federal taxation, and tax-exempt organization matters. Mr. Antognoli advises employers on the design and drafting of qualified retirement plans, nonqualified deferred compensation plans, equity compensation plans and welfare benefit plans. He also regularly counsels employers on a broad range of related issues, including multiemployer pension plan withdrawal liability, employee stock ownership plans (ESOPs), educational assistance plans and other fringe benefit programs, and requirements for the investment of plan assets. He has recently devoted a substantial portion of his practice to advising employers on complying with 2010’s health care reform legislation and related guidance. Mr. Antognoli primarily counsels clients on transactional matters, with a focus on issues arising in mergers and acquisitions. He has served as lead ERISA counsel in a $320 million acquisition of an industrial firm, as co-tax and ERISA counsel in the $90.5 million sale of a managed care firm, and as co-tax and ERISA counsel in the acquisitions of several tax-exempt health care systems. 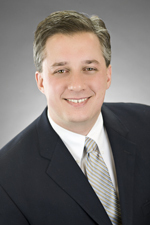 Mr. Antognoli joined Hinshaw & Culbertson LLP in April 2003. Mr. Antognoli is a co-author of Chapter Seven, "Special Employee Plan Issues Arising in Mass Employment Terminations," of the "Employment Termination Practice Handbook," published by the Illinois Institute of Continuing Legal Education in 2011 and 2013. He was quoted in "Fiduciaries Take the Heat," an article published in the August 2009 edition of Human Resource Executive magazine. Co-author of comments of the Chicago Bar Association’s Employee Benefits Committee regarding future of the Employee Plans determination letter program, August 2003. "State Taxation of Business Trusts: Limits, Concerns and Opportunities," co-author, Journal of Multi-State Taxation in February 2000 and reprinted by Business Entities, September/October 2000. "Fiduciary Duties Under the 'Serious Consideration' Standard," co-author, DC Plan Investing, November 2000.